UPDATE (2014/07/27): This is no longer possible with the current iteration of Google Play. Now you can mass install, but you can't mass remove items from your "all apps" list. Sad face. If you've stuck with the same ecosystem (buzzword alert!) for a while, you've probably tried out a ton of apps, found that they sucked, and uninstalled them right away. You most likely have said to yourself, "Oh, there are 3 apps that say they do the same thing. I'll just try them all and uninstall the ones that aren't the best." For Android, that leaves your Google Play My Apps page a bit of a mess. Here's reminder that it's not the most daunting thing to clean it up, as long as you go about it the right way. This is a case where it's actually easier to do from your phone/tablet instead of the web interface. On your device, head to the Play Store > My Apps > "All" screen. You should see a list of every app you've ever installed on any device you've ever owned that has been linked to your account. My guess is that pretty much 0% of the apps that you had on your first Android in 2009 remain on your current setup today. I found this guy in my list. Hahaha! No need for that anymore! 4. hit the delete button at the top of the page. This will remove them from your "My Apps" page. If you need an app that you deleted again, it'll be installable by searching for it again, even if it was a paid app. 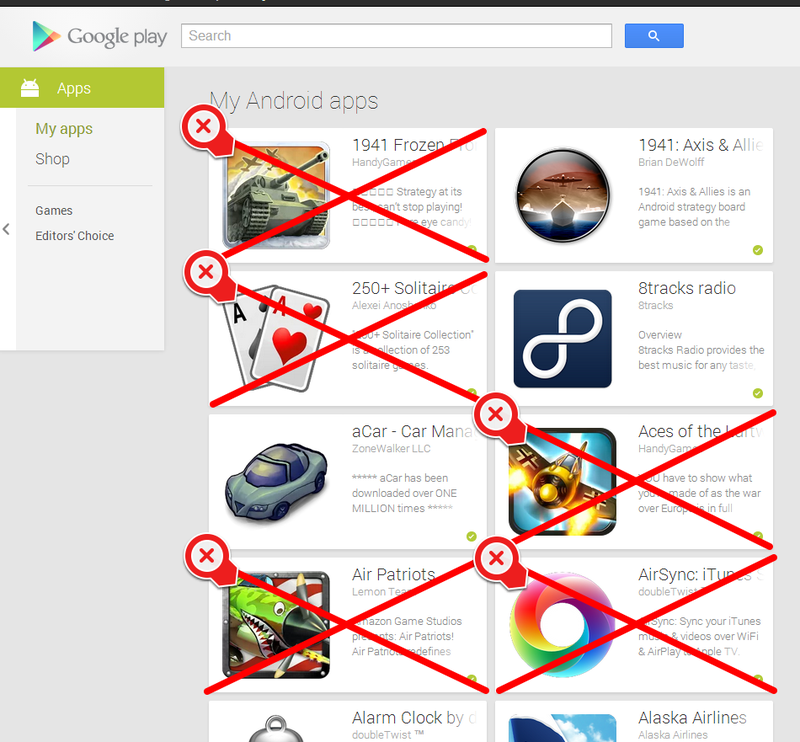 Short Version: Use your phone/tablet to quickly clean your "My Apps" page in Google Play. Is there an analogous thing for iOS? Share below!